In a few days, it will be Christmas. Lulu’s birthday. At home, we will have close Irish family and we will be eating bûche de Noël (if I can get to making one) and a lot of French Christmas food–delicate and elegant, because that’s what I feel like cooking this year. I will take the time to cook in my new space. Again. I’ve been missing it so much. Maybe it’s also my mother’s fault. “What dessert are you going to cook?” she then continued. So I told her about these baked custards that I made with lime and raspberries. It’s a recipe somewhat inspired by one found in Saveurs‘ December issue. I had decided to create this version one afternoon when it was snowing outside, there was a fire in the wood stove and I was getting presents wrapped and slipping inside the Christmas feeling. P. was working from home while Lulu was napping tightly upstairs after having played on the slides in the morning, despite the wintry morning air. 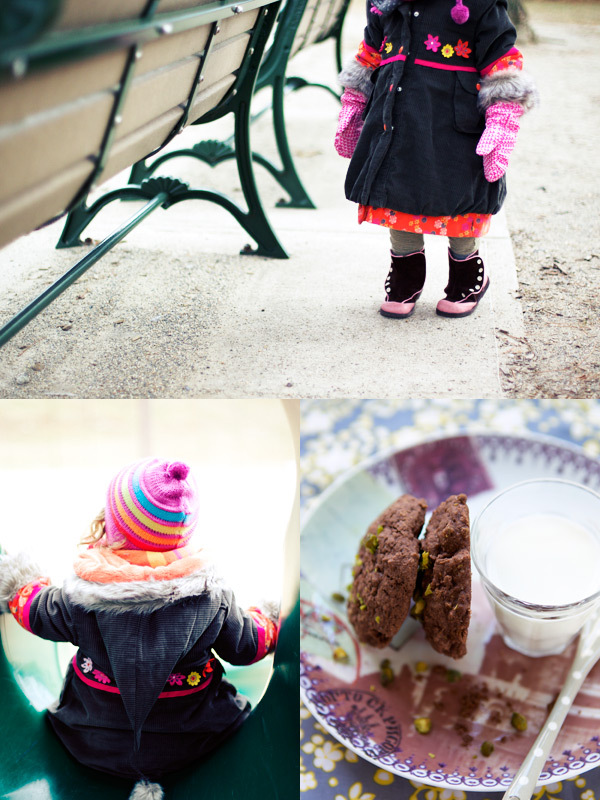 Something that, I had promised her, would translate into chocolate cookies when she woke up. When four o’clock struck, I called to ask P. whether he wanted to try the custards with me. “I am trying this for our Christmas dinner,” I said. We sat down cozily on the floor in front of the fire, with one bowl and two spoons. And we started to eat. “I just want a taste,” I went on. “Me too,” he said. We finished the first serving. And then had another one. Then we smiled. We were enjoying a peaceful moment in our new home. At last. Merry Christmas to all of you. May this holiday be filled with wonderful thoughts and happy times, love and delicious food. I am glad to be here. I am glad to be back. Preheat the oven to 350 F and butter 6 shallow wide bowls (mine measure 6 1/4″ by 2″); set aside. In the bowl of a food processor, cream the butter and sugar together for a few minutes, and then add the egg yolks, one at a time. Beat until well incorporated. Add the millet flour and baking powder and beat until combined. Add the lime zest and juice and ginger. Whip the egg whites firm with a pinch of salt and fold them in the previous batter. 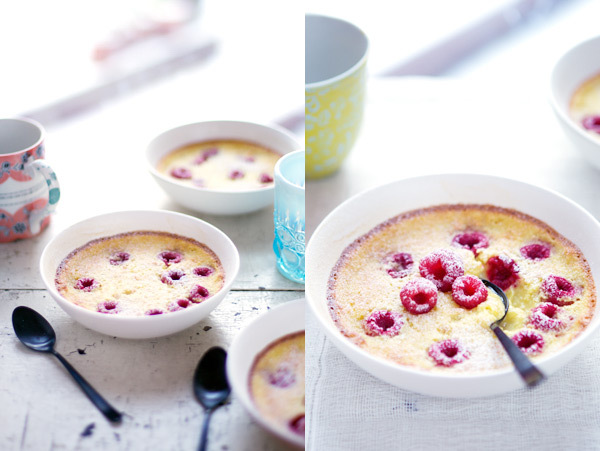 Divide the lime batter between the bowls and stud the custard with raspberries. Bake the desserts for 20 minutes or until the flan is set and the top is golden in color. Let cool and dust with confectioner’s sugar when ready to serve. I find the custard best eaten lukewarm or at room temperature. Merry Christmas Béa, to you and your family and a very Happy Birthday to little Lulu. 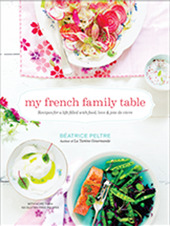 Looking forward to more great recipes, beautiful photos from you in the coming year, and your cookbook too! OH goodness.. berries snazzberries.. I love berries. Super fab work on the photos too. I really like how vibrant those berries are… thanks for sharing. In the meantime, have a great holiday season. Happy holidays in your new home! And Happy Birthday to Lulu! She’s such a big girl already. i now know what our christmas pudding will be this year! Welcome back! I’ve missed you. I was just telling someone about you and La Tartine Gourmande last night, and then this morning, here you are! You made my day! 🙂 I’m so glad you are starting to enjoy those real “home” moments in your new place. Joyeux Noël!! Merry Christmas to You Béa !!!!! It’s great to read you again. Thank you. I love this, Merry Christmas.. I hope 2011 will be the best year of your;).. I always leave this space inspired. Happy holidays! Well, I read it even when not looking for ideas, too!!!! Your pictures really made me smile. 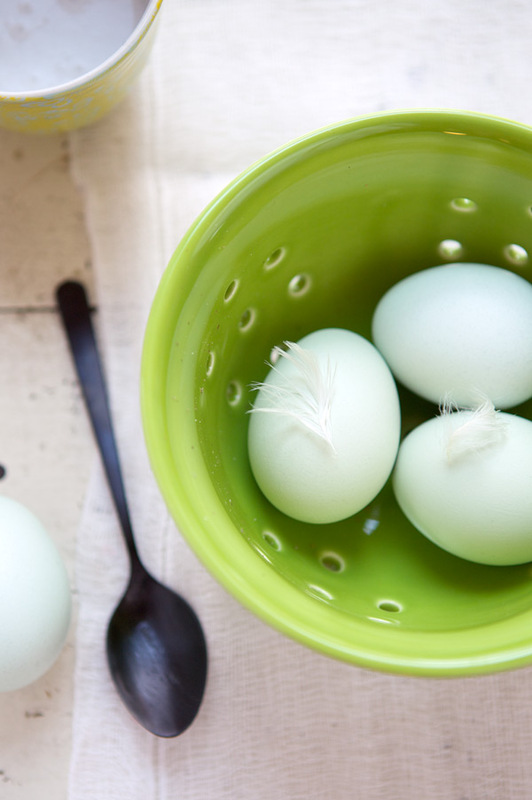 (Especially the feathered eggs.) Merry Christmas! Your photos are beautiful, and the custard sounds lovely! Have a lovely holiday in your new home! Bea, Your new kitchen looks wonderful. I’m sure you and Lulu will spend many happy hours there in the years to come. Merry Christmas to your whole family! I bought a lime tree today! Lulubelle those boots are outrageous, love them. Magnifique petit dessert, comme toujours! Merry Christmas to you and your family and also a very Happy Birthday to Lulu! Merry Christmas to you and your family dear Béa! And Happy Birthday to Lulu! Bonnes Fêtes!!! 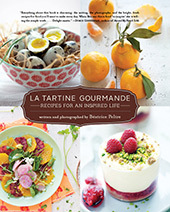 compliments pour la belle nouvelle cuisine, pour vos belles photos et vos bonnes recettes! Bon anniversaire à LULU! Joyeuses fêtes et bon anniversaire à la petite Lulu ! Joyeux Noel to you and your family. I too am far from my family – every year at Christmas I used to get homesick for the reveillons of my childhood. Now I decided to host a modified one myself and this has made such a difference for me. I know those conversations with mom about meals all so well. I love it. This dessert is totally up my alley. Have a wonderful Christmas Bea and happy birthday to Lulu! Happy holidays to you, and happy birthday to Lulu! Wishing you and your family a blessed holiday season!!! Merry Christmas Bea! The baked custard looks fantastic, seems to be a good alternative to mousses if guests do not like to eat raw yolks. I was wondering, why is it when I try to make chocolate ganache with yolks, it curdles despite tempering the yolk mixture with warm cream? Also, I couldn’t find your langue de chat recipe… It would have been a great companion to the hazelnut and chocolate custard (adapted from your dark chocolate custard recipe). Merry Christmas. What a lovely dessert. Hope you have a very happy holidays and happy birthday to Lulu. Cheers. The confectioner’s sugar looks just heavenly over your custard. As always, beautiful images. Lime and raspberry are perfect together! How beautiful! 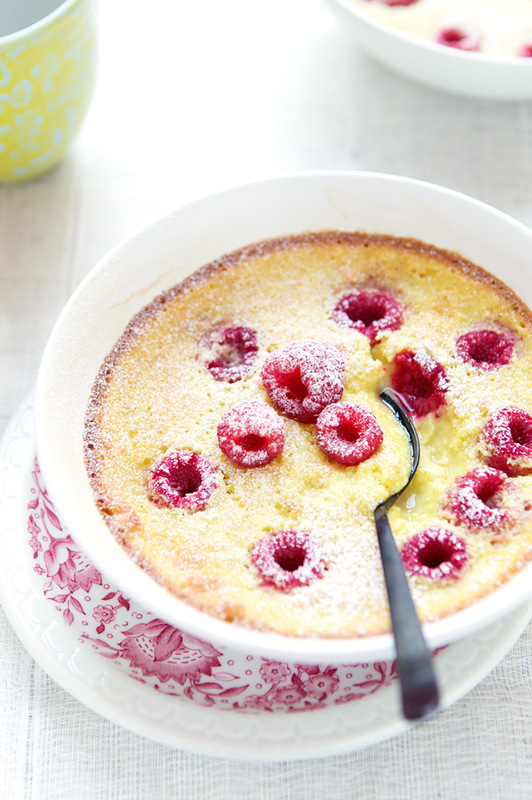 They’re almost like clafoutis, which I love. Happy holidays! Thank you for all of the wonderful images throughout the year, Bea. I hope your holiday has been truly lovely. I have two lime trees blooming in my dining room l’orangerie. By June, the limes should be ripe, and just in time for my fresh-picked raspberries and this fine recipe. Merci! Thank you, once again, everyone. I am sorry I don’t have more time these days to chat and write. But once our house is back in place and our life settled, it will surely happen. 2011, eh? My in-laws and friends loved this dessert when I served it on Xmas day. Rayelynn, which ganache recipe are you referring to? Also, the langue de chat recipe is definitely something I have to post. You are reminding me of it. and may your fountain of creativity never cease to nourish your art! Happy New Year from me too, Béa! Hi Bea, This is my first visit here but certainly not my last. I’m loving your beautiful photography – what amazing light. Looking forward to perusing your archives. Happy New Year! I LOVE Lulu’s boots !!!! Très bonne année à vous ! My, 2010 was quite the year for you. Gosh, I can’t get over how gorgeous your photos always are. You should write a post about how to take better pictures for us amateur food bloggers. All the best for 2011. What can I use in lieu of millet flour? All purpose flour would work very well. your blog is beautiful! our daughters have the same boots! I religiously love your food blog, its brought a whole new world to my doorstep, i would love to share your spice histroy as cusine is spice laden, in Turin once i couldnt find a eatery with spice food everything has a sweet taste I ordered rice with drinking choclate and mixed the choclate with ground chilly powder and enjoyed my meal . When nutmeg is fresh a special covering know as an aril or arilus wraps around this seed known as mace, it has a distinct purplish red hue and is extracted seperately as a milder flavoured version of the nut. this recipe looks and sounds amazing. and i really love your photography. Looks like the perfect dessert for little girls. So yummie, so beautiful! Your pics are adorable! Bonjour, merci pour cette jolie recette qui m’a tant inspirée que je l’ai végétalisée (je cuisine vegan). Je me suis permise de poster ma recette sur mon blog avec un lien sur votre recette. Si quoi que ce soit vous déplaisait n’hésitez pas à me contacter. Merci !